Despite having owned more than one chronograph over the years I would state at the outset that chronographs have never been my first choice for everyday wear. However, when I need to wear a chronograph through necessity then my choice is always one equipped with hands as opposed to a 1/100 seconds digital affair with a plethora of lap times and so on. I do not need that functionality and as with many people (possibly of my own generation but it seems increasingly with younger generations) then I am increasingly attracted to those things simple and traditional. I allude for one moment to an Oris catalogue that I read in the late 1990s which stated something along the lines of the ‘fact’ that a mechanical chronograph is more accurate than a digital chronograph at measuring very short periods of time. Indeed, I saw reference to this on a watch forum and it made me smile to the point that I made a reply stating what I thought the facts to be: it is not the mechanical chronograph itself that is more accurate at measuring these periods; rather, it is the perception of the human eye in reading a moving hand and anticipating a button push in order to stop measurement at a given point on a dial. A quartz driven timepiece of almost any type is more accurate but in practical situations of relatively short duration then something ‘clockwork’ can be more than adequate and of course give the user that feeling of using a real machine as opposed to a soul-less, silicon chip based mini computer. As with many items intended for practical use, often (but certainly not always) one can look to the military for examples of design simplicity which by default enable ease of use. Wristwatches are in my opinion one such product; there is (again, in my opinion) nowhere else to look but at what is, or has been issued by the military in order to select a visual design that is fit for purpose. Indeed, many watch manufacturers have done just this and taken the military ‘look’ and marketed whole ranges of watches based upon this. An injection of ‘fashion’ means that at the time of writing then these nods to military design have been christened with some interesting names (unfortunately, emblazoned on the dial in some cases) and have it seems, been given a course of steroids with diameters approaching what might be for many people the un-wearable. Certainly in my case, I have a liking for the no nonsense, wearable proportions, easy time reading and ‘rugged functionality’ of military designs. Perhaps I am stating the obvious given other timepieces that I have owned or reviewed but the point being made is that I am prepared to wait for what I feel meets my requirements exactly before I outlay any money. Furthermore and just as importantly, I really do need a watch to excite me in some way before I feel any justification in owning one. In the past, the UK Ministry of Defence (MOD) had requirements for wrist chronographs which were met by various manufacturers including Lemania, Hamilton, CWC, Newmark and Precista. As with other forms of wristwatch, the military specification was relatively detailed and included drawings of how the required timepiece might look. It was not therefore unusual for watches procured from various manufacturers to look almost exactly the same. Today’s military watch collectors will often have the goal of owning one of each of a model which for all intents and purposes, is identical bar the name on the dial. Given this and the finite supply of genuine issued watches from the 1960s through to the early 1980s, then prices are ‘on the up’ so to speak and continue to be so. In the early 1990s, British military chronographs were still relatively easy to buy as surplus equipment as opposed to collector’s items. My first brush with them came in the form of a printed stock list from a UK surplus supplier and it was the simple look and functionality that attracted me to the concept, as opposed to the watches themselves. I wanted something new, dependable and unworn. It wasn’t until around 1997 or 1998 that I discovered the ‘new’ CWC chronograph. Immediately I saw the watch that was manufactured by the company that continues to supply the UK MOD then I thought that it might well be worth owning and indeed I did so for a while but I was never comfortable with either the dial layout (sub dials at 9 and 12) or the price tag. Thus, the CWC departed. CWC do in fact now offer what the company quaintly refers to as a ‘remake’ of the originally issued mechanical chronograph which is visually very impressive (sub dials are at 3 and 9) but at £699.00 I feel is pushing the limits of reasonableness and is capitalising on the military connection. As with many watches I own, the aura or the concept is just as important as the watch itself. In the past, I have bought watches which have been a modern version of those which I may have come into contact with in the past or indeed which have some connection with my interests in aviation. In the past, I would make regular visits to RAF Cosford Air Museum; walking around the hangars in those days one could almost hear the roar of the Canberra’s Avon engines. Many of the military aircraft there were of the age of ‘clockwork’ – indeed, an ex RAF navigator I once knew always alluded to the Canberra as the ‘Princess of the skies’ and made great store of the fact that equipment in the nav bay was ‘clockwork with cogs and springs’. As a small aside, he was still wearing his issued Seiko 7T27 quartz chronograph which in fact replaced the ‘clockwork with cogs and springs’ chronographs which Precista et al supplied until the early 1980s. I have often wondered what the Vulcan crews of the Black Buck missions to Port Stanley were wearing on their wrists during the raids of May-June 1982. 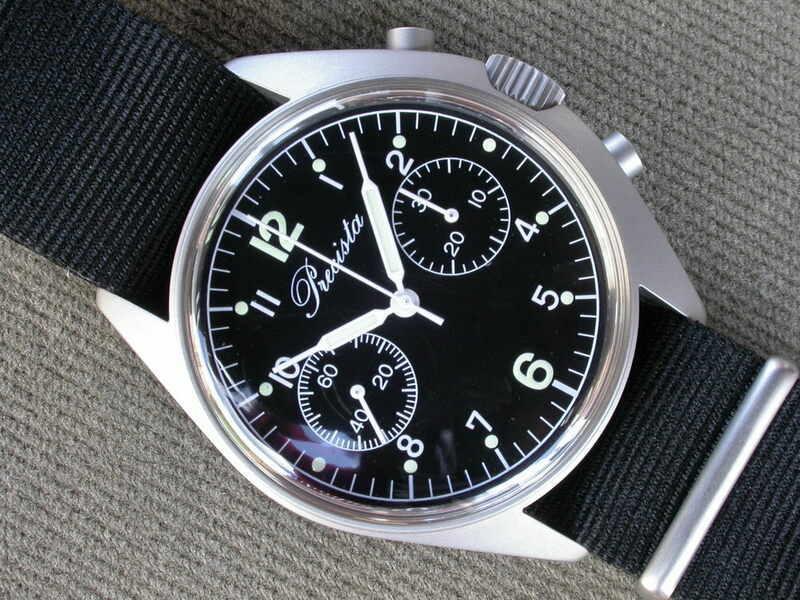 It is quite possible that one or more of them were sporting issue mechanical chronographs, possibly even Precista. At such tense times as those of the Falklands conflict and the risks and daring involved with such missions as Black Buck then for me, the watches worn during such hold just as much wonder for me as those worn during the Apollo space missions. In fact, possibly more given that events such as those that took place in the South Atlantic were so close to home in many respects. Walking around and underneath a preserved Vulcan, one can stop and imagine the crews clambering into the confined spaces of the cockpit in an age where indeed oiled gears and instruments (not just wrist) with springs were relied upon as a matter of course. At about the time the Vulcan bowed out of service then so did the mechanical chronograph issued to British Forces. The upside to the end of an era is that as time passes then the nostalgia (if that is the correct term) for those times gone can begin. To me therefore there is great pleasure derived in having something which is new, yet as old fashioned as those things that were standard issue all those years ago. The bonuses for me are that I happen to love the designs that are the result of military specification and of course that the resurrection of the Precista brand has made these things accessible and affordable. Precista in its Sheffield based incarnation has now been around for nearly four years. In this time, a steady introduction of new models has taken place with the range now encompassing dive watches (modelled of course on the original issue Precistas of the early 1980s), a high specification quartz chronograph and two very special limited editions with mainstream variations of the same. 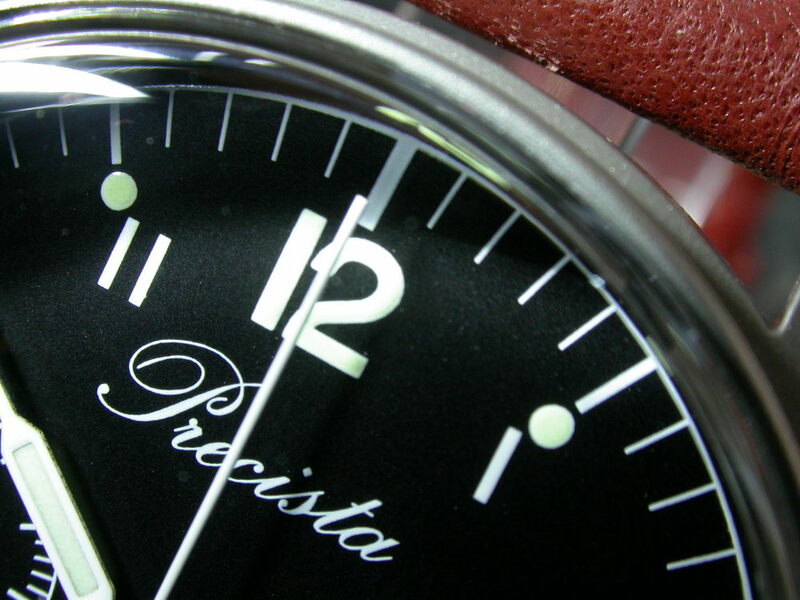 Precista has also during this time obtained NATO Stock Numbers for the two diver models mentioned above – truly full circle and all the better for Precista’s approach of improving on the originals. 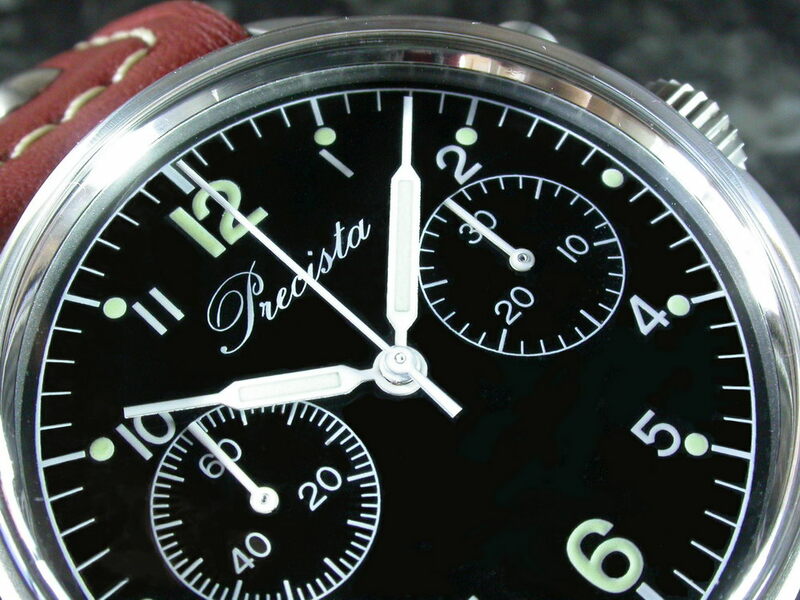 Here at the beginning of June 2008 we have the introduction of what I see as the new Precista going back to its roots – that is to say, introducing a model extremely similar to one of the first that bore the brand name and was issued by the UK military. Let it be made clear however at this point that the new version isn’t intended to be a direct ‘copy’ of the original; rather, a modern, updated version with a twist. The twist in this case is the use of a movement which in its original form would predate the issued Precista by 20 years or more. Furthermore, I do not see this Precista as an homage to the other watches issued at around the same time, e.g. the CWC or Hamilton chronographs (and the Newmark). The Precista, along with the others were watches in their own right, even if in many ways they look identical (there was in fact a Breitling which also looked identical to these). 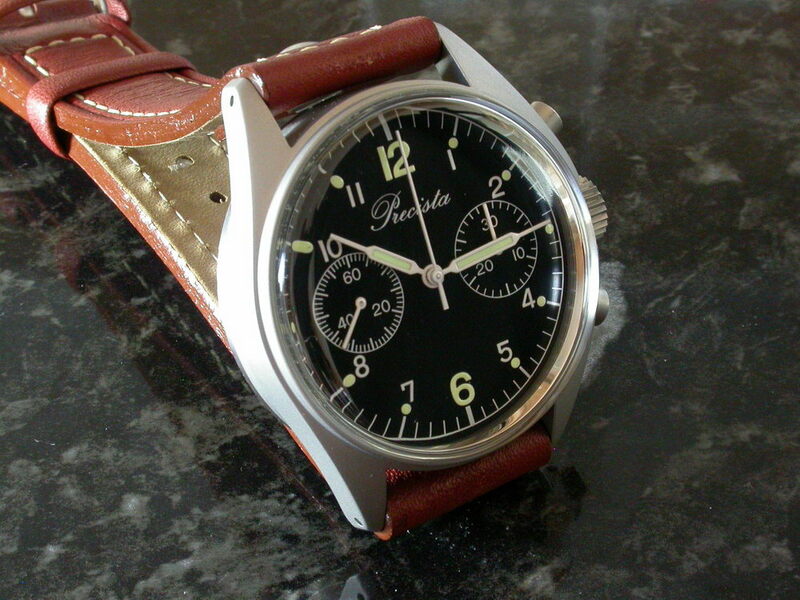 For those people with a purist streak then we have a manual winding chronograph with no date; plain and simple. 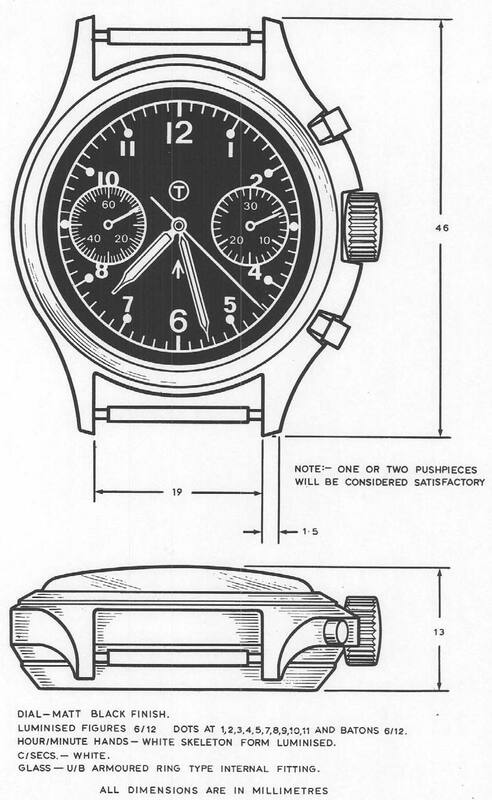 The design is of course that which is illustrated in the relevant DEF STAN – in this case Def STAN 66-4 (Parts 1-3) which originally specified a single pusher chronograph mechanism. However, the use of a two pusher chronograph mechanism was acceptable (within an amendment to the Standard) and indeed illustrated. Earlier Lemania chronographs had been of the single pusher type though by the 1970s the design above was adopted and executed by the brands previously mentioned, including of course Precista. The illustration at right forms the basis of what would be worn on the wrist of personnel within all armed forces of the United Kingdom when a wrist chronograph was required. For me, as already alluded to, it has always been the concept of such a timepiece and its procurement by the UK military that I find so attractive. To use phrases such as ‘utilitarian’, ‘no nonsense’, ‘fit for purpose’ is perhaps taking the use of clichés to a limit; however, the nature of this design I fully believe to be all of the above and that is what makes it so attractive for me. In addition, I find the relevant DEF STAN almost compelling in its writing style – this was another age, these were typewritten and certain symbols had to be handwritten in! The Royal Air Force had certain requirements in terms of high altitude performance (which Seiko capitalised on in advertising copy when putting the second generation issue quartz chronograph on sale to the public in the mid 1990s – at an eye watering £250.00). Fast forward to 2008 and we are considering a newly manufactured watch bearing a brand name from the above era, built very much to the specifications penned so long ago. Yes, there are other manually wound chronographs on the market which are simple and traditional, however it seems a paradox that in this day and age the ‘simple and traditional’ is increasingly coming at an inflated price tag. The conclusion to this review will touch on the possible reasons for this but in the meantime, the Precista PRS-5 Chronograph in detail. The PRS-5 arrived in the superbly executed transit packaging for which the supplier is now noted by many. Give the nature of the product then this is a wise move in order to reduce any damage done at the hands of the postal services. Thus, the postal box is well very padded with air bags in order to cushion the merchandise within. In the case of the PRS-5 the watch comes presented in a beautiful ‘Banda’ two watch travelling case with a zip and a central, padded divider. The case itself is of a high quality, soft grained vinyl with white stitching. The interior of the case is lined in a soft synthetic suede type material in a pleasing neutral colour. The watch compartments look to take anything up to a 45mm watch comfortably and are designed so that the watches head to toe each other – a logical layout to reduce any possibility of damage. Each compartment has a thick elastic strap/bracelet retainer which holds the watch in snugly. The use of the two compartment case may raise the question – ‘why use a two watch case?’ My only (tongue in cheek) explanation for this would be encouragement for the owner of the Precista to fill the other compartment with another watch from the range. Very shrewd if one examines the simple mathematics which would apply should all Precista come in this case! Suffice to say, the presentation case is extremely attractive which is quite a statement from myself as normally I do not give much, if any store to the packaging of a watch. 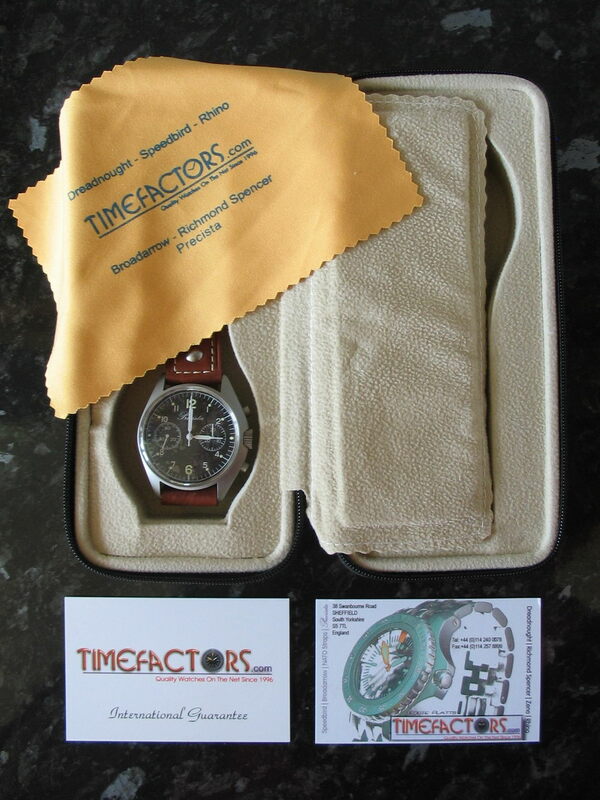 In addition, the watch comes with a Timefactors cloth, International Guarantee and Timefactors business card. I believe that there will be an instruction sheet along the lines of those supplied with other Timefactors watches though my watch was shipped before official release of the PRS-5 and these weren’t prepared at the time. There is of course nothing like opening a new watch when it arrives, especially for me when it is a model that has been anticipated for some time and one that stirs my interest in the way that the military-type watches do. Each and every time a Precista arrives with me I am somewhat taken aback; the first impressions are without fail, thus far extremely good. Of course I have a penchant for the stark contrasts present within a dial of this type and of course I have the same for the simple case designs such as this is; this section is however entitled ‘Packaging’ and this is perhaps what I really mean – the overall package of what at first sight is an extremely well executed watch within a tasteful watch case with no extraneous and unnecessary paraphernalia has the exact effect that I would imagine Precista would wish. Too often in my opinion a watch is cocooned in Fort Knoxian boxes with a plethora of redundant ‘accessories’ to the extent that the article that one has paid a not insignificant amount of money for itself loses its significance. Put simply: the watch should speak for itself, this Precista does so. The original cases used by Precista, CWC, Newmark and Hamilton would appear to have possibly been ‘off the shelf’ designs available to all. Whilst I cannot confirm this as fact, it would seem to stand up to scrutiny. The same would apply to other watches procured by the MOD in the UK, particularly in the instance of the General Service watches of the 1970s and 1980s (indeed, through to today). One mustn’t forget that as well as performance requirements, there were (and are) of course budgetary requirements of any procurement contract. Thus, manufacturers would need to be able to supply at a price that was acceptable to the purchasing body. 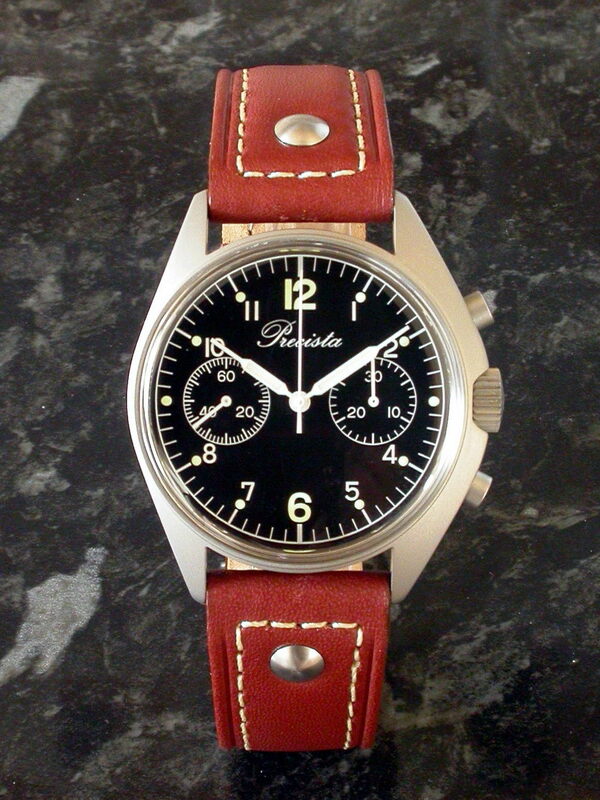 Precista in its guise of the late 1970s and early 1980s I am certain did not have the capacity to design and have manufactured a watch case exactly the same as that of CWC and Hamilton for example. Nowadays, there are indeed off the shelf cases that can be purchased in order to construct a wristwatch. Far Eastern suppliers are adept at mass producing such things and with the online world as it is, it is becoming increasingly more common to see the ‘same watch with a different dial’ so to speak. 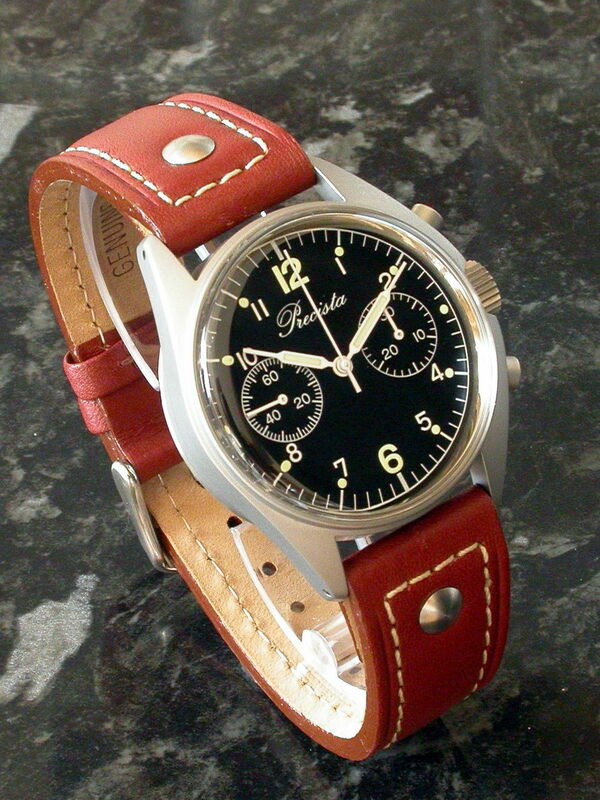 In the example of the PRS-5, there are cases out there which could possibly have been bought off the shelf though aside from the currently available CWC chronographs I have only seen one other watch available in recent years in the style of the British military chronograph – this was however far from the mark in many respects. In plan form the asymmetric design is clearly seen and this is true to the originals. 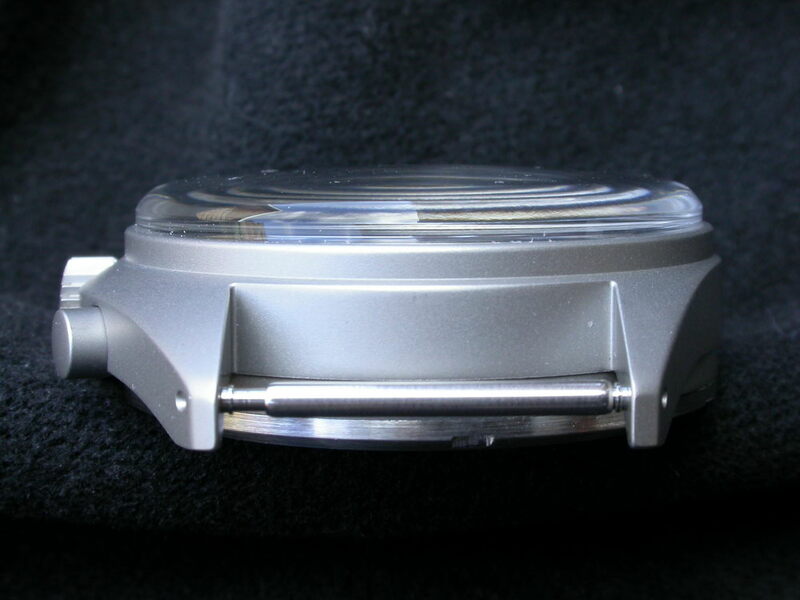 This design affords some protection for the chronograph pushers; if they are knocked then it will be the pushpiece that strikes the case as opposed to the tube – this should prevent the tube from becoming damaged. The crown by default is protected from hard knocks by the pushers though as can be seen from the photographs, more than half of the width is within the case cut-out itself. The machining of the case would appear to have been attained within the given tolerances: the chronograph pushers sit snugly and squarely within their recesses; likewise the winding crown. There are no unsightly gaps or poor centering. 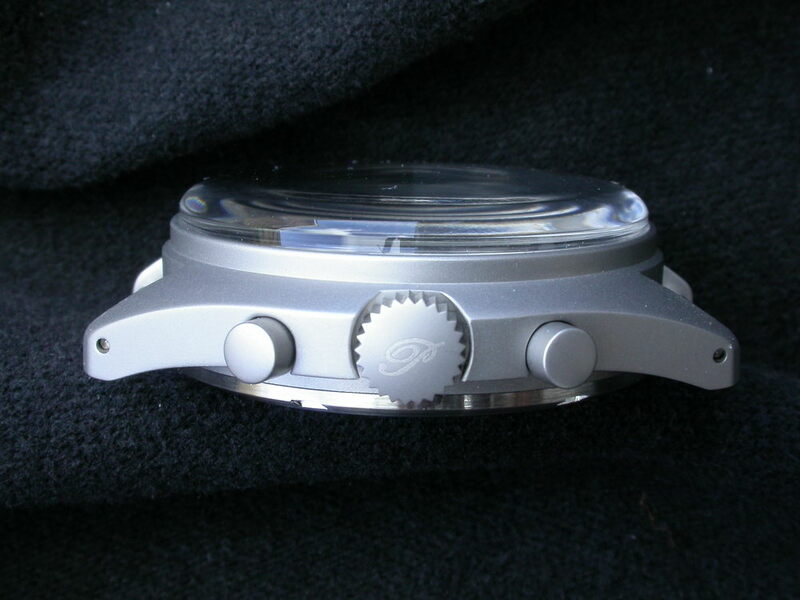 Adding the domed crystal and the caseback gives a thickness of a little over 14mm. This gives the watch more than adequate heft when on the wrist, particularly if the watch is worn on a single piece NATO strap. For some people (at this point in time) the diameter they may feel is not enough. I would suggest that a watch styled such as the Precista would look completely out of proportion should the diameter be increased to cater for current fashions. I am possibly biased in this regard given that I do not have large wrists – however, I increasingly see watches worn which are quite obviously too large for the wearer. At just on 40mm, I see the Precista as a correctly proportioned watch for most wrist sizes and a size that will never look neither too large nor too small. To me it looks as ‘right’ today as on the DEF STAN illustrations of forty years ago.The case itself is executed in a medium sandblasted finish which has been applied excellently. 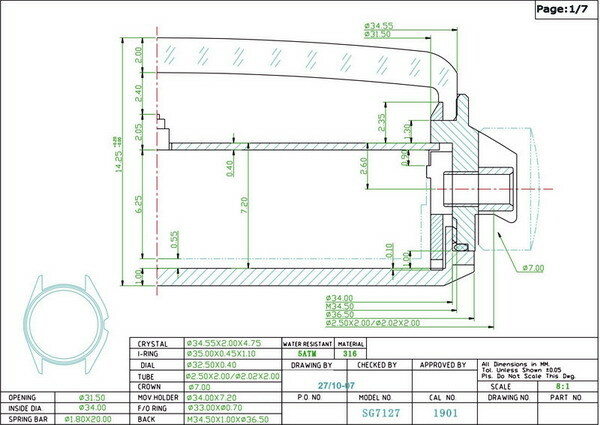 The lugs are cut perfectly and there no signs of rough machining anywhere to be seen. 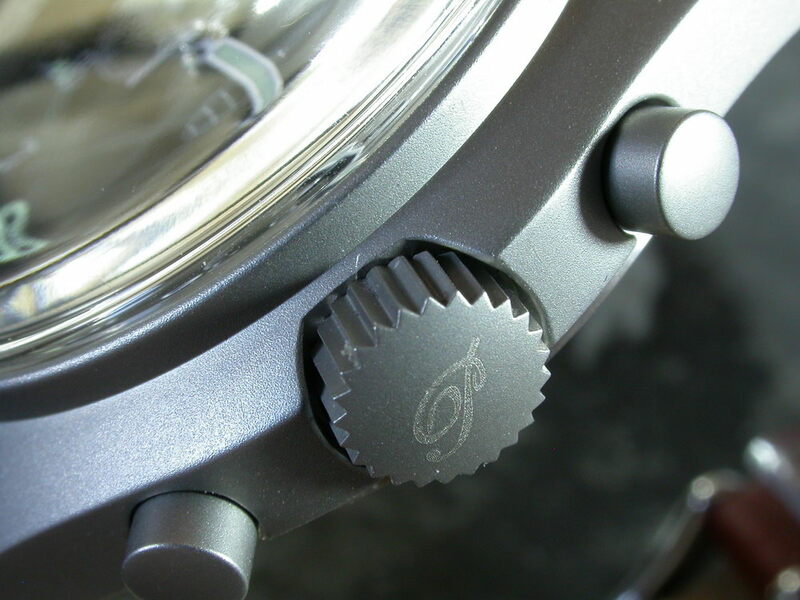 Precista has chosen to equip this watch with drilled lugs and standard spring bars. No doubt this is in deference to those who like to change straps regularly and to whom a NATO strap is not the be all and end all. From a personal perspective, I do prefer fixed bars and the security that they afford; however, the lugs have cleverly been drilled in such a position that the watch will take thick springbars and likewise relatively thick straps. This is a small nit pick from my part but needs to be mentioned for completeness. Whilst end on, the watch appears to be slab sided, once one starts to look a little closer then it can be seen that there is a discreet but lovely curvature to the case sides/lugs which is particularly evident on the crown side. It is just enough to give the case some real character and form whilst still keeping it simple enough that it exudes functionality. If one turns the watch over, then the attention to detail becomes even more apparent, the undersides of the lugs are beautifully curved with no machining marks. Lug tips are flattened just enough and the sandblasting has ensured that there are no sharp edges in sight. 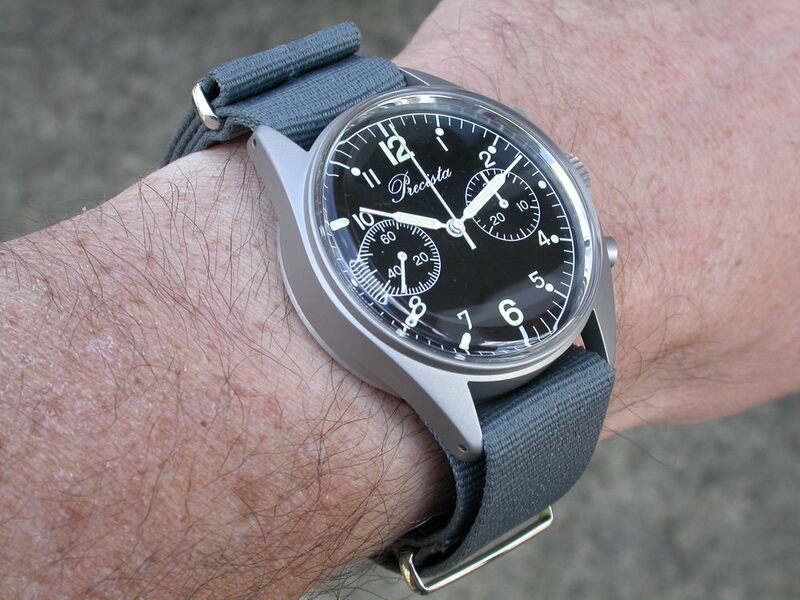 The quality is every bit as good, if not better than anything I have seen of this type – for example the Sinn 356 that I have reviewed previously. There is no ‘bezel’ to speak of, rather an upright lip to hold the crystal. This does give the effect of the watch being larger than it actually is which should go some way to appeasing the ‘larger is better’ watch enthusiasts. The chronograph pushers and crown are sandblasted to the same finish as the rest of the case with the pushers feeling solidly affixed with good spring. The winding crown deserves some attention on its own. At a very healthy 7mm in diameter it feels just perfect. 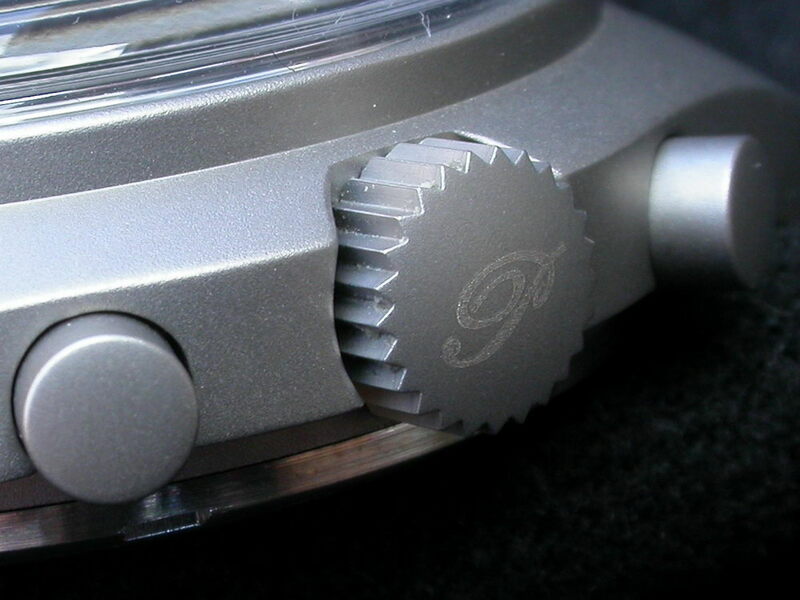 Apart from the diameter, the serrations are well cut and precise making the watch extremely easy to wind. I have sometimes had an issue with winding the Omega Speedmaster Professional – slightly stiff to wind and hard for me to get good grip on the crown to do so – the latter possibly being due to the bezel. To reiterate, the Precista is a pleasure to wind due to a correctly sized, well manufactured crown. In terms of decoration, the winder has a very discreet Precista ‘P’ etched into it which to be truthful, is so discreet that many might not notice it. It is a nice touch, not military specification of course but it gives a little added touch which many will appreciate – myself included. The depth rating of 5 Bar or 5 Atmospheres or 50 metres is to me more of a piece of mind rating as opposed to anything else. I am always slightly wary of immersing anything manually wound or that has pushers into water for prolonged periods. I am not questioning the depth rating, rather stating that it gives me some piece of mind should the watch be subjected to anything more than would be expected in everyday life. Suffice to say, the 50m rating is a good touch to a case which has obviously been manufactured carefully and with excellent precision. Sitting atop the aforementioned is of course the crystal. Anything but a polymethyl methacrylate (read: Acrylic) crystal wouldn’t do in my opinion. It would of course have been possible to specify a domed sapphire of some sort; however such a specification could have easily added one third to the price of the watch. Furthermore of course, the addition of sapphire (particularly domed) would almost certainly mean the addition of unwanted reflections. As it is, the crystal utilised on the PRS-5 has a medium dome with flat sides and is held in place by a polished internal tension ring. This looks absolutely in place on this watch and lends itself to the whole old fashioned feel of the complete article. Indeed the crystal will scratch (but can be polished extremely easily) and as any worn example of this watch ages and gains scars, then the Acrylic will follow suit thus keeping the whole watch in a uniform state so to speak. In the case of this crystal, edge distortion of the dial has been kept to a minimum, which is very welcome. Thus, it is no doubt apparent from the preceding paragraphs that I am extremely impressed with the casework of the Precista PRS-5. I feel that it comes over as having quality of construction far, far beyond the price band that the watch lies in. I have made comparison to Sinn; I stand by my observation that the case of this watch exceeds the Sinn 356 in terms of its quality and would certainly equal that of the Sinn 144, of which I also have direct experience. The elements of a wristwatch which are truly designed to ‘speak’ to the wearer are of course the dial and hands and these are considered next. It is often difficult to attain real legibility when designing a dial for a chronograph; rather, it may be that some manufacturers overlook the fact that primarily the watch is used for reading the time. In the case of military applications then there is often no room for error or misinterpretation when reading an instrument of any type. This would apply to watch dials and this is clearly evident when studying the DEF STAN for wristwatches. 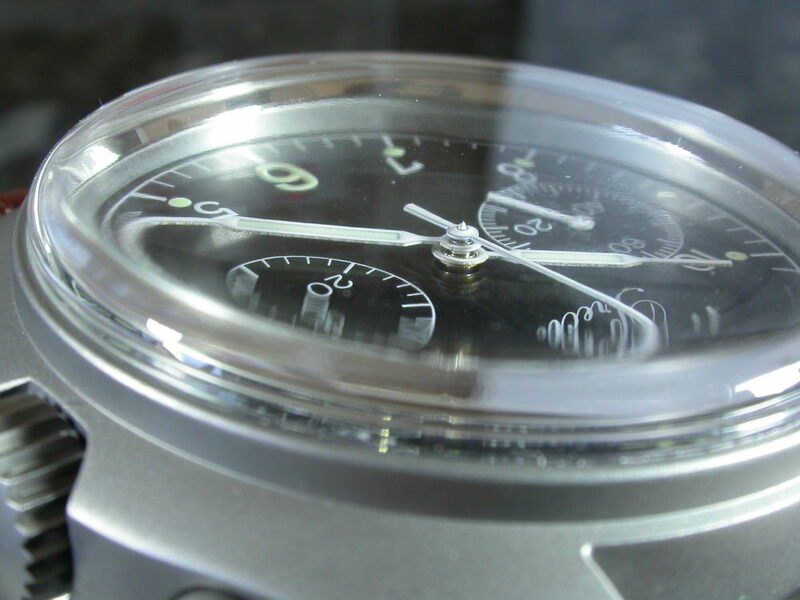 The standard chronograph dial as specified is therefore clear and as simple as is practical. The Precista dial is almost identical to that which can be seen in the DEF STAN drawing within the Overview to this review. In this instance however the circled letter indicating the type of luminous material used has been omitted along with the broad arrow. However, the Precista logo has been increased in height very slightly but not to the extent that it is overbearing in any way. Thus, there is no unnecessary script present which is welcome. 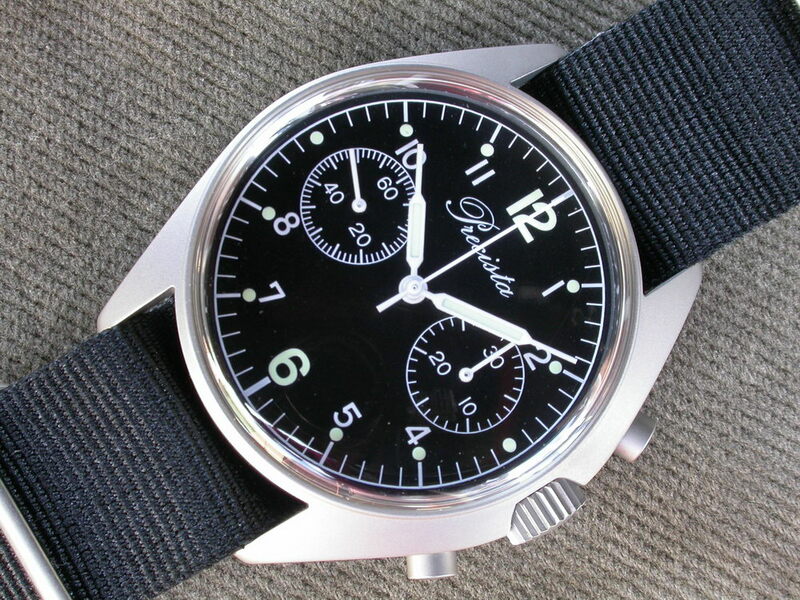 Note should be made that of all the original issued chronographs, the only dial which did not feature any cutting of the Arabic numerals at 2,4,8 and 10 was the Precista dial. The dial itself is what I would term satin in finish – smooth as silk yet allowing no reflection at all. The finish is even with no flaws and fully up the standard thus far experienced with the rest of the watch. It has been some time since I saw a finish such as this on a black dial (aside from those with sunburst finishes) and it would appear to be an excellent way of attaining a deep black without using a gloss finish with its associated glare in bright light. The outer track and hashes are applied in a discreet satin finish and this has once again been applied to a particularly high standard. Application is even and there is no thinness to the paint at all. Edges are crisp and even with no raggedness or paint run. The same can be said of the small Arabic numerals to the main timekeeping dial which are of the same superb standard; there really is nothing negative that can be said of them. The large 12 and 6 numerals are luminised with Luminova C3 which is of a very light green colour. Application of the luminous compound is atop a white numeral thus giving the best possible background for light emission. The compound itself is applied thickly with a good pillow effect – this also applies to the luminous dots adjacent to the small Arabics (these are also applied atop a perfectly round, white dot). Finally, to the hands. Firstly the finish: all hands are finished in gloss white. Paint application is thick and even to all, including those for the small sub dials. The paint is thick enough to allow a slightly convex effect which is pleasing and gives a quality feel as the light catches the hands. Luminova C3 is applied to the hours and minutes hands; under a loupe the luminous fill is thickly and evenly applied and this is certainly evident once the watch is in darkness. 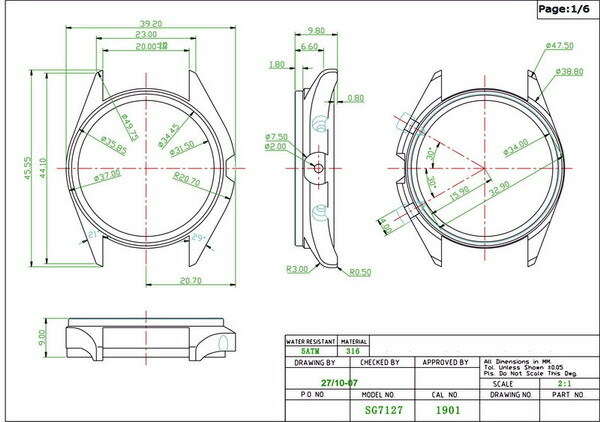 The question of what shape of main timekeeping hands to use is possibly a tricky one for many watch manufacturers. If one studies images of actual issue watches then it can be seen that certainly in later versions they utilised hands which were different from the DEF STAN image within this review, being ‘fatter’ and to some extent more rounded. 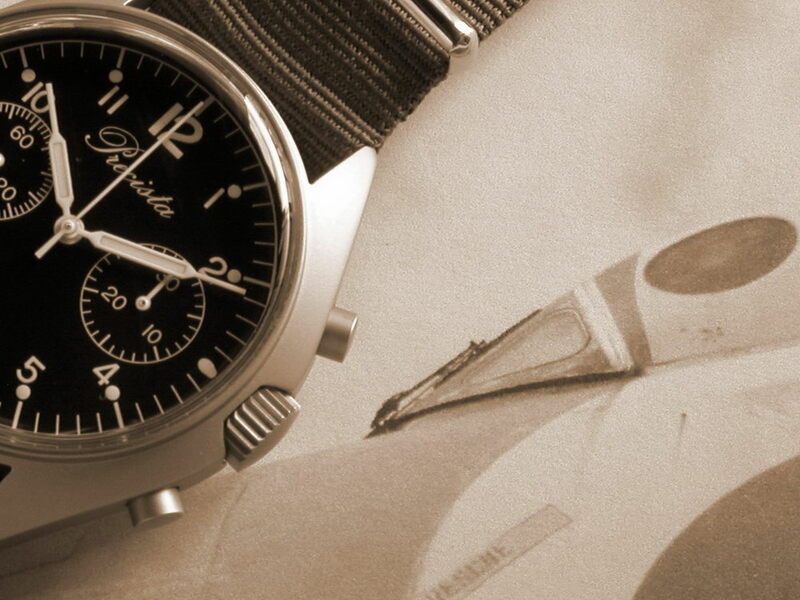 However, in the case of the PRS-5 then the hands would appear to be a variation of those within the original DEF STAN drawings and those utilised by Lemania on the first single pusher issue chronographs of the 1950s and 1960s. The main difference is of course that the luminised section is shorter than that illustrated in the DEF STAN. The practical advantage of this over the original Lemania type (and the later type) is of course that it will be slightly easier to read the thirty minute chronograph sub dial at the three o’clock position when the time is between say two and four o’clock. Personally, I am pleased that the Precista has to some degree gone back to the original specification yet done things slightly differently. In terms of quick time reading then the use of shortened luminised sections does not have any negative bearing on this whatsoever – it is easy to read the time at a glance and yet there is a finesse to the hands that matches the precision and clarity of the dial. All in all, I feel that the dial/hands combination of the PRS-5 is nigh on perfect and most certainly looks better in the metal than any picture can portray. The night time performance of the Luminova used on dial and hands is excellent. Initially, the hands glow brighter than the dial markers but this soon evens out to a steady transmission from both which lasts for some hours into the night. There is little more to say about this; in this day and age we have to be content with luminous compounds which require charging by light, tritium is now the exception rather than the rule and if one requires constant, bright luminosity then the only choice would be a tritium tube equipped timepiece. To sum up, the dial and hands of this watch have been executed to an extremely high standard. Finish and fit are excellent; precision is excellent along with performance in low light. In terms of the watch itself then there is of course the question of the movement and how this equates to the rest of the watch which thus far has been so impressive at the price point. 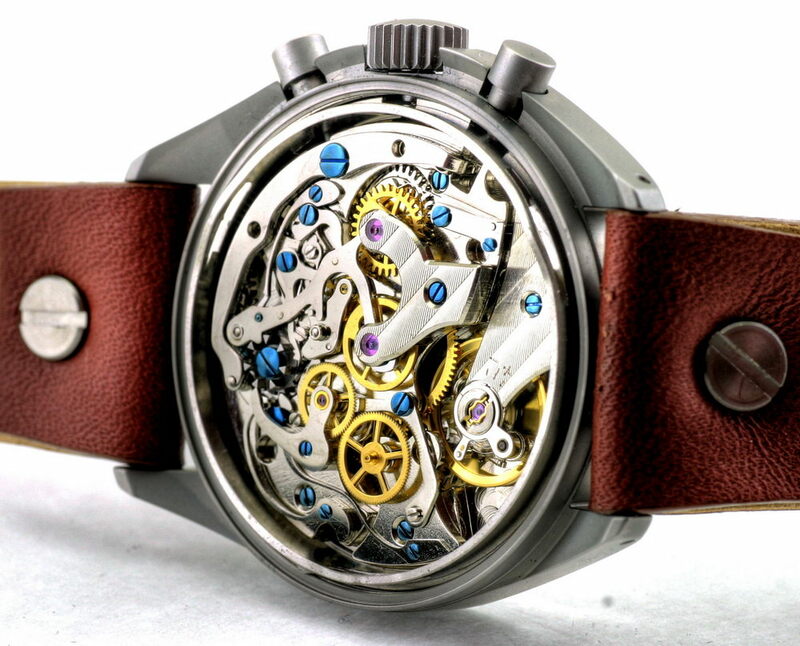 The movement used in this Precista is the ‘twist’ to the tale that I referred to early in this review. 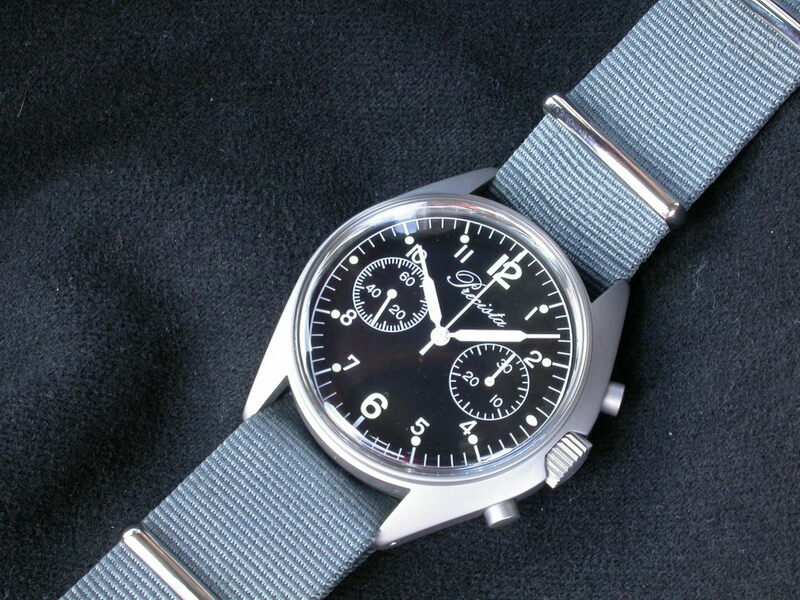 Firstly, let me state that the original single pusher Lemania chronographs used by the British military housed a traditionally constructed movement with column (or switching) wheel chronograph control – the Lemania 1220. It is not the purpose of this review to detail the various types of chronograph mechanism. Suffice to say, the column wheel construction is considered to the ‘the best’ and in terms of its use in mainstream chronograph watches it was effectively abandoned as far back as the late 1960s in favour of the cheaper to manufacture coulisse lever type. A perfect example of this would be the deletion of the calibre 321 column wheel movement and replacement with the 861 by Omega in its ever popular Speedmaster Professional. Column wheel chronograph movements mounted in wristwatches date back to the early part of the 20th Century; in many cases they were finely finished, decorated with blued screws and so on. Nowadays, they are a rarity in new watches and manufacturers capitalise on such rarity and desirability by offering limited editions featuring unearthed new old stock movements at not inconsiderable prices. Any watch enthusiast opening the Precista PRS-5 is likely to look somewhat puzzled by what he or she finds – for beating at the heart of this watch is an unsigned traditionally constructed manual wind chronograph with a column wheel. Any such enthusiast would be forgiven for identifying the movement as the Venus 175 calibre which was produced between 1940 -1964. In many ways, this is the Venus 175: during the 1960s the Venus Watch Company of Switzerland needed to raise funds in order to develop the Venus 188; to do this they put on sale the tooling for the calibre 175 which was purchased by the Tianjin Sea-Gull Watch Factory of China. One reason for this purchase was that an aviator’s wristwatch was required for the People’s Liberation Army Air Force. Thus, the remanufactured Venus 175 was produced in the guise of the Sea-Gull ST1901 and housed in a modestly sized case for use by pilots of the aforementioned Air Force. Indeed, with the recent rise in prominence of China produced watch movements there has been a re-edition of the original pilot’s chronograph known as the ‘Sea-Gull 1963’ – this watch itself has now become quite sought after. There have been glitches with regard to manufacturing tolerances but these would now appear to have been ironed out and many people report on the excellent performance gained from this somewhat anachronistic movement. For sure, many people are now sitting up and taking notice of the watch movements coming from Tianjin. A final note on the Sea-Gull ST1901: given that the movement is produced using the Venus tooling, then parts are fully interchangeable. 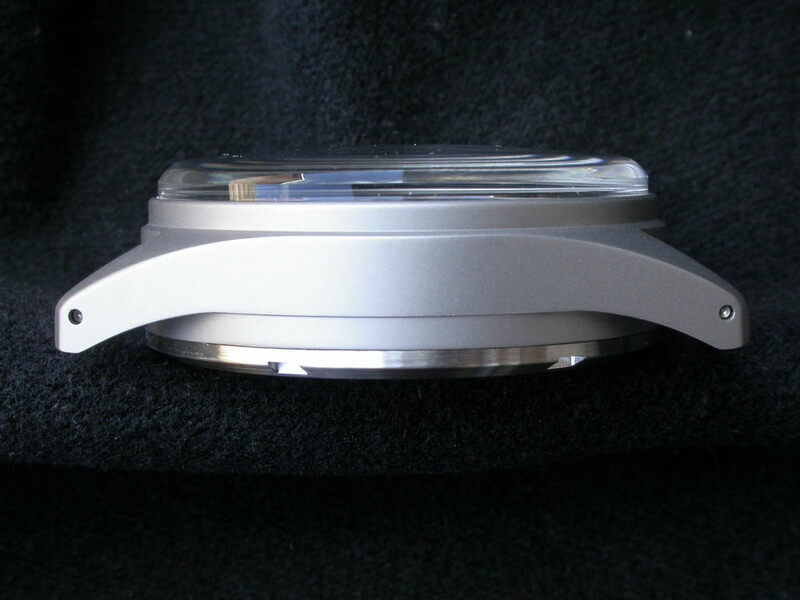 The issue Precista chronograph would have housed a variation of the Valjoux 7733 coulisse chronograph movement. For a modern day Precista such as the PRS-5 then the equivalent could have been used in the form of the Poljot 3133 – Russia purchased the tooling for the Valjoux 7733 in much the same way that Sea-Gull purchased that for the Venus 175. However, performance of the Russian produced movement can be somewhat hit and miss and the time spent quality controlling inbound Poljot movements could possibly have not been cost effective. To achieve the sub-dial layout required for the PRS-5 from a Swiss movement I think would have been almost impossible in this day and age; the ETA which is used in the CWC ‘remake’ is a modified ETA 775* series which is now extremely difficult to obtain given ETA’s increasing reluctance to supply those outside of its own group. In a nutshell the Precista PRS-5 houses a Swiss designed and tooled, old fashioned, traditionally laid out (and functioning) chronograph movement produced in China. For me, the last three words are perfectly acceptable. How else could the PRS-5 have come to fruition? If one insists on ‘Swiss Made’ then of course the CWC is available for £699.00. The following images show the movement in situ within the Precista case and some close ups of various aspects of it. For me, knowing that this is inside my watch gives me great satisfaction. I do not know the parts count for the ST1901 but I suspect that it is ‘a lot’. 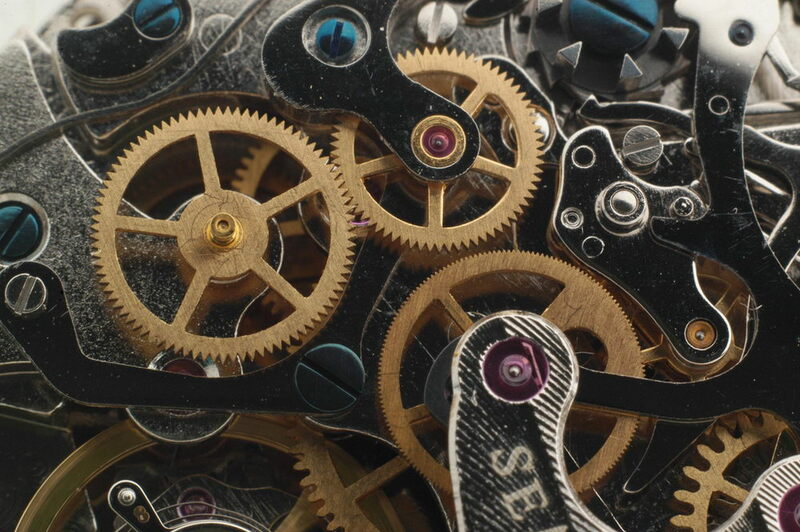 It is as old fashioned as the rest of the watch and perfectly qualified to sit within; it truly captures the ‘cogs and springs’ approach (of necessity in those days) of the era from which it originates. 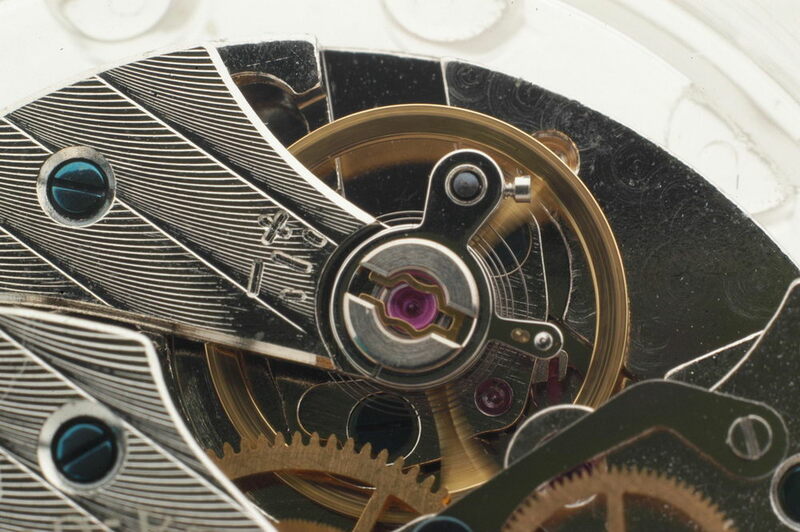 The first thing to note about the movement is just how smooth it is to wind. It truly has that ‘like butter’ feeling that is often used to describe the winding action of good manual winding watches. The large crown I am sure helps to a degree but there is none of the grating feeling which I have experienced with other watches. I shan’t comment on how many turns it takes for me to fully wind the watch as the way I wind will be different to others – there will of course be an actual number of turns of the crown which I have not had the time to measure. As with any manual winder it is always best to back off one turn or so once the watch is fully wound; the click spring on the 1901 is quite strong however in my case habit dictates the backing off that I recommend. To set the time, the crown pulls out with a satisfying and positive click and I have found that synchronising the minutes with the seconds is fairly easy without too much, if any forward or backjump of the minutes hand when pushing the crown back in. Of course, this movement does not hack (i.e. the seconds hand does not stop when pulling out the crown) so ‘to the second’ setting is not possible. This is an old fashioned watch in all but the date it was manufactured so I am not personally disturbed by this. When operating the chronograph a firm push is required on the upper pushpiece to start timing; a satisfying ‘click’ is heard and the watch is measuring at 1/6 second intervals given the 21,600 bph of the movement. 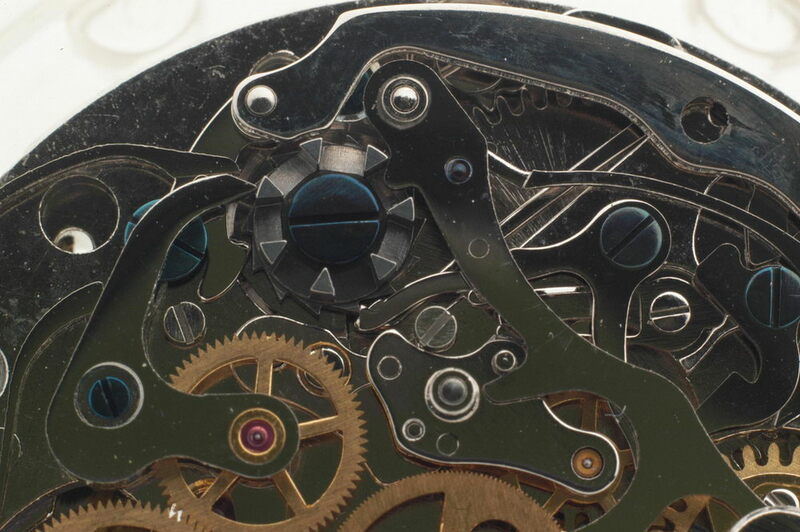 A further push on the upper pushpiece stops the chronograph and at this point it can be restarted with another push or reset to zero by pushing the lower pushpiece. If the chronograph is left running then the minutes counter clicks over nicely once the central seconds hand reaches the 12. As with most mechanical chronographs, it is more of a rolling over action of the minutes counter than a click – in itself, quite satisfying to watch. On resetting the chronograph then with another click, the hands snap smartly back to zero. I have given the chronograph a thorough workout and can report no problems at all. All actions are positive, there is no hopping or skipping and the chronograph seconds remain in harmony with the constant seconds sub dial. In terms of autonomy and timekeeping then my example would appear to have a power reserve of approximately 41 hours and the daily rate is approximately +6 per day on the wrist with the chronograph stopped – superb performance and just on chronometer standards. Should the watch slow up a little having ‘settled in’ then of course it will be well within chronometer specification whilst being worn which I find remarkable. As with any device which relies on pure mechanics to run then a little mechanical sympathy is in order of course and I recommend that the watch is fully wound at a regular time every day to get the best performance. In the case of manually wound chronographs then given that chronograph operation does put extra load on the watch, I tend to wind them on waking in the morning as opposed to before going to sleep at night. Operating the chronograph whilst the mainspring is in a lowish state of wind can cause a mechanical chronograph to stop. In summary, I am impressed with the performance of the movement in the PRS-5 and feel that its design and specification are perfectly suited to the watch. The facts that it is old fashioned and doesn’t hack are bonuses and I am pleased to finally own a column wheel chronograph, the origins of which in this case date back to the early part of World War II. The exclusion of fixed bars on the PRS-5 mean that there can be a ‘free for all’ in terms of what can be fitted to the watch. The lug width of 20mm means that there are a plethora of straps available thus there is almost no limit to styles available for purchasers to fit. The issue Precista of course had a 19mm lug width which meant that it was either an 18mm strap with a gap or a 20mm strap squeezed on. Fixed bars further limited the options available although such considerations weren’t of course of any importance to the British MOD! From the images above it can be seen that the watch certainly suits both the NATO and of course the Aviator. As I stated earlier, many straps will fit this watch and I have no doubt that as time passes internet users will see some interesting combinations of PRS-5s and straps. For me, the watch predictably belongs on a grey NATO where it will now remain! The value for money that this watch represents is surely unsurpassed if one is looking for a manual wind chronograph with British military origins. 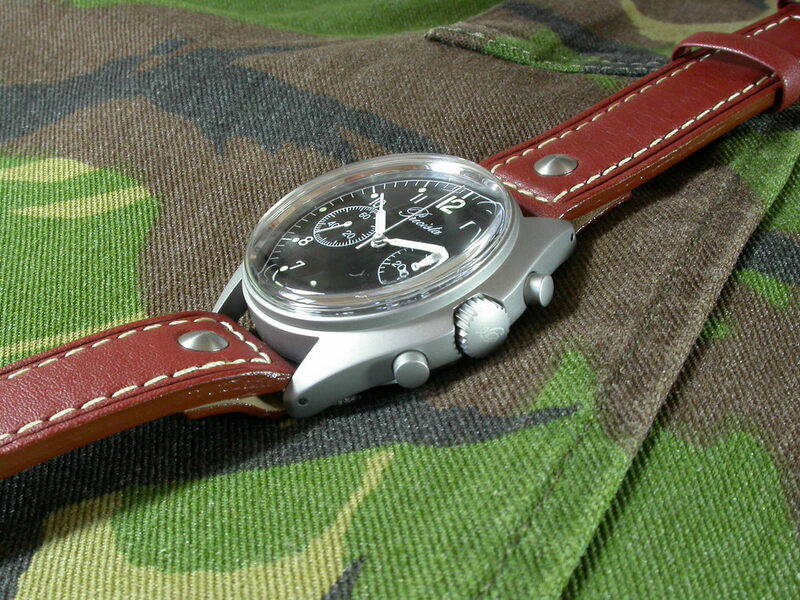 For less than one third of the price of the CWC alternative one can purchase a watch which is in my opinion closer to its origins and the origins of others which resulted from the British MOD requirements. Given the GBP/Euro exchange rate at the time of writing I would imagine that this watch would have been available at £200.00 if things were more favourable. I have decided to consider £10.00 of the £210.00 price tag to be what I have to pay ‘for the name’. I am very happy to do that in this case. I feel that this watch is an early example of what will increasingly become a huge thorn in the side of the likes of the lauded Swiss watch industry as less-greedy manufacturers don’t hide their association with the Far East and offer true value for money. 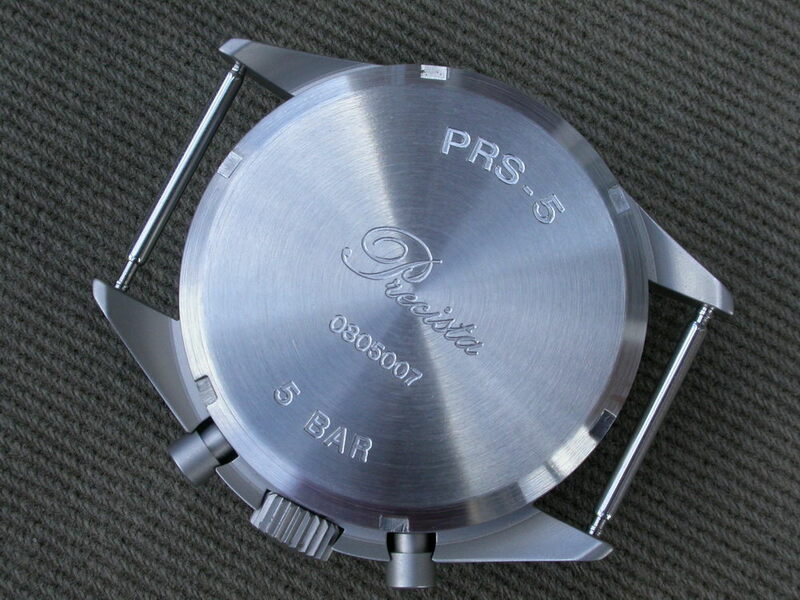 The Precista PRS-5 is old fashioned in almost all respects. It (as do other Precistas) captures the spirit of a bygone age in a way and to a degree that many other watches can’t match. Why might this be? 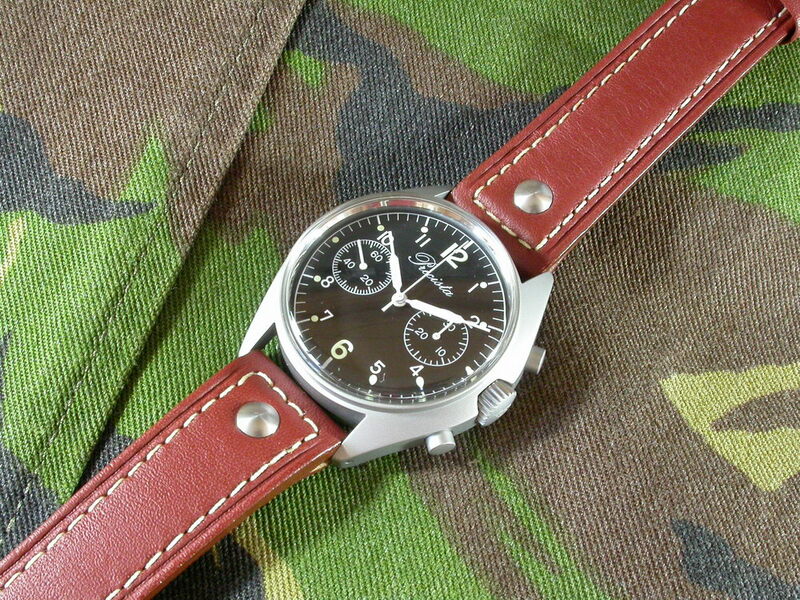 It is based on a specification some fifty years old for a simple, legible timepiece for military personnel. It has been manufactured using very much the same design, using features which aren’t the norm any more (e.g. Acrylic crystal) and it using a movement the origins of which predate even the military specification. It is built to an extremely high standard in every way, it performs to a high standard in the same manner and it does so for just £210.00. I wholeheartedly recommend the Precista PRS-5 to any person looking for a no-nonsense, easy to read, value for money, manually wound ‘chronograph, wrist’. 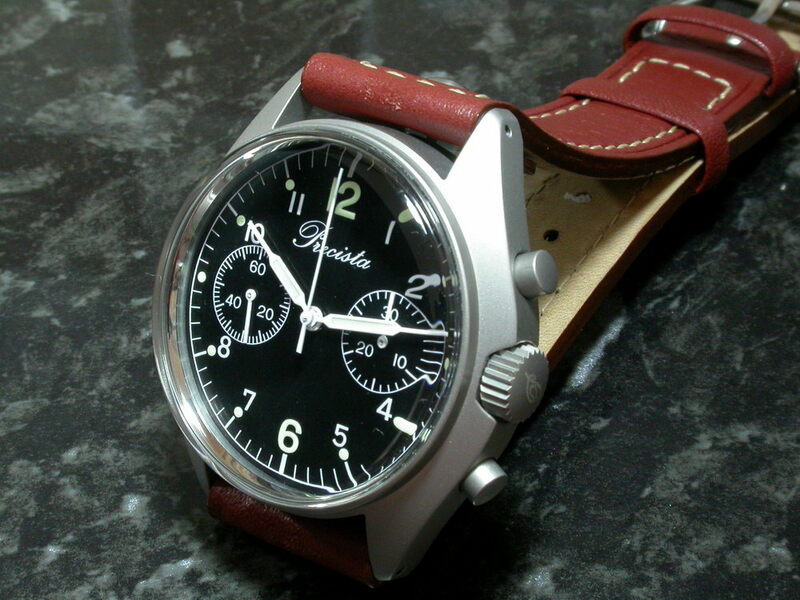 Tagged chronograph, Defstan, Precista, Precista PRS-5. Bookmark the permalink.